Foundation is the base of any makeup. 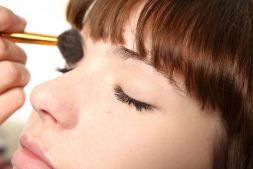 It is one of the most widely used makeup tool. A foundation not only just makes the skin look better but also makes your makeup look natural. A foundation whose colors would match exactly with your skin color is the best foundation for you. 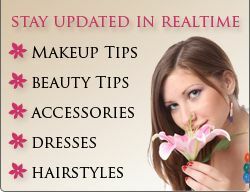 To get a perfect makeup selection of right foundation is also essential. It not just makes up a base for a perfect makeup but also helps you to protect your skin against unwanted damage that might occur in rare cases. So a foundation should be selected very wisely. Here are some tips which will help you to select a perfect foundation. Before the selection of any foundation it is important that you have idea about your skin type. If your skin is oily, choose oil free foundation. If you have a dry skin type then use moisturizing foundations. For combination skin type, cream-to-powder bases foundation is best and if your skin is sensitive then use mineral foundations. Now choose perfect color for foundation. Normally foundation colors are grouped as Ivory, Beige or Tan and the Natural or Neutral colors. If you have fair skin Ivory would be the best choice, for darker skin Beige or Tan are good choices and if you have pale skin, Natural or Neutral colors are proper choices for you. Now that you have selected you color group and there are more then one color in this particular group. Then you can follow these guidelines to select the perfect color from that group. First of all select a specific foundation color, than apply the test foundation on your face skin. Go outside to see if the foundation is right for you because in natural light you can choose the right color. If it blends into your skin perfectly and isn’t visible it means that it is the right color of foundation for you. One of the most important parts of perfect makeup is right foundation. Foundation works so many ways, it provides a base for your makeup, hides wrinkles, flaws, fine lines and erases the signs of aging. Moreover the foundation will also protect your skin from the sun.